Even at the very top end of the market, the best luxury Maldives holidays are to be had in resorts that perfectly blend what the Maldives itself has to offer with the finest creature comforts the rest of the world has to offer. A few of the luxury Maldives resorts provide a rich and beautiful built environment that somehow removes the guest from the wonderful natural environment. It is as if the amazing view through the room's floor to ceiling glass wall or the stunning sightline through the Michelin-starred restaurant and out over the swimming pool is all you'll actually need. Some great resorts are just unlucky in not having an accessible or half-decent house reef. Or they might have a beach erosion problem. 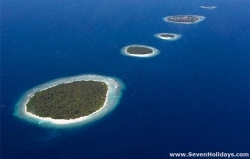 Or they might be trying to turn around an island that wasn't built as a five star resort. But other resorts are lucky with their geography and beautifully built and superbly well-run. 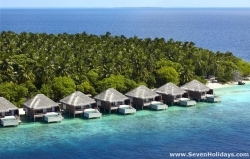 This is my list of those Top7 Luxury Maldives Resorts. Every one of them is in the top price bracket but each is very different in their own way and that is the beauty of the Maldives. You take what your island gives you and show it off to the best of your ability in harmony with your own vision and philosophy. Take Cocoa Island, for example. 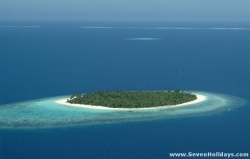 Essentially it is little more than a large sandbank in a beautiful lagoon and surrounding house reef. Christina Ong and her team have taken it and created the most peaceful, zen-like, resort in the country. All the rooms are over water (and the one room villas are among my favourite) so you glide over to land only to eat and drink, walk the long beach and visit the destination spa. In contrast, Soneva Fushi is on one of the largest of all resort islands and so has been able to offer extraordinary variety, from a restaurant in the tree-tops beside the observatory to al fresco lunches created by a chef in the vegetable and herb garden; from cinema nights on the beach to a large new kids' club and a destination spa with visiting gurus. And all delivered in the rustic chic style that brings you close to nature and keeps you there. Park Hyatt Hadahaa delivers something different again. A small island like Cocoa but this time a perfect circle with an unmatched softness of deep sand running all the way around. Beyond that, an encircling reef that is almost unmatched for its corals. The high design hospitality company, Alila, built the resort before it was taken over by Park Hyatt. The rooms are exquisite and the public area is expansive and breath-taking. 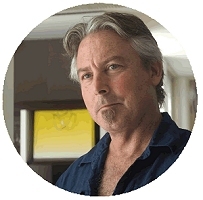 Yet this resort was built from concept forward as a green resort, and it is certified as such. Who says you can't have it all? 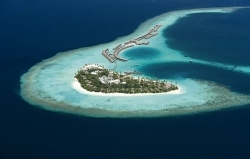 Maldives resorts vary hugely in size, geography, style and management. 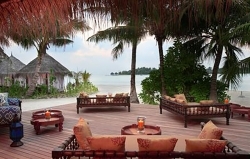 When you're looking for luxury Maldives holidays you want all of these to come together at the highest level. it's a big ask but a few resorts absolutely deliver this, at a price.